As the new pope is celebrated today, it's worth noting that not everyone who wears the cloth is antigay. This being Women's History Month, here are 10 LGBT and allied women who are looking out for all of us. Reverend Dr. Nancy Wilson has served as the global moderator of the Metropolitan Community Churches since 2005, succeeding the denomination’s founder, the Reverend Troy Perry. 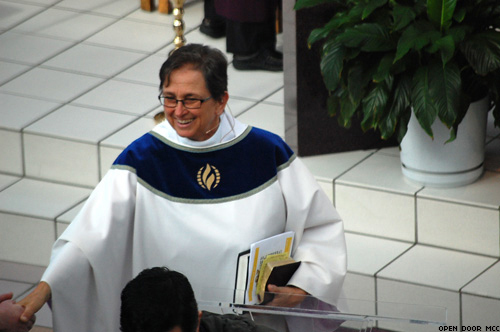 As the leader of the world’s first Christian denomination to provide ministry to LGBT people, she was invited to read the opening scripture at President Obama’s Interfaith Prayer Service at the National Cathedral on January 22. Additionally, Wilson works to advance civil and human rights around the world through her work on the board of the Global Justice Institute and as a member of the U.S. President’s Advisory Council on Faith-Based and Neighborhood Partnerships. 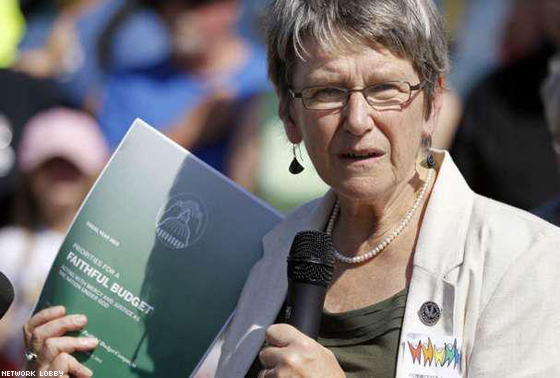 In 2012, Sister Simone Campbell and a group of American nuns were issued a Vatican reprimand for not speaking out against LGBT rights and women’s causes. As the executive director of Network, a Catholic lobbying group in Washington, D.C., she led a group of Catholic sisters on a nine-state bus tour called Nuns on the Bus to talk about the morality of decision-making in Congress and the Roman Catholic Church. In a recent CNN feature, she and fellow sisters talked about their continued work to modernize the culture of the male-dominated Catholic hierarchy to better reflect the diversity of our democratic culture.